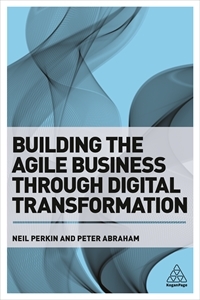 Many organisations are now recognising the value in more iterative, experimental, adaptive ways of working in response to rapidly changing competitive contexts, customer expectations and technologically-driven possibilities, but this can frequently raise questions around direction. If we spend all our time iterating our way towards our future (so the question goes), where is our strategic direction? And how can we make the kind of creatively-driven leaps forward that change the game and enable us to leap-frog the competition? The answer to this lies in the right balance between the directional guidance given by a compelling longer-term vision and the flexibility enabled through highly adaptive and responsive approaches and ways of fulfilling that mission. Iteration and experimentation without vision is chaotic. Rigidly pursuing a plan without adaptiveness leads to declining performance, missed opportunities, limited learning. Stubborn on vision, flexible on details.